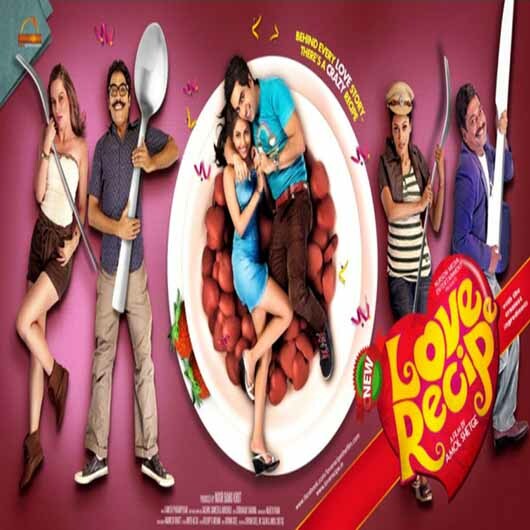 Love Recipe as the name would suggest is a fun-filled film. Its about a D.J. 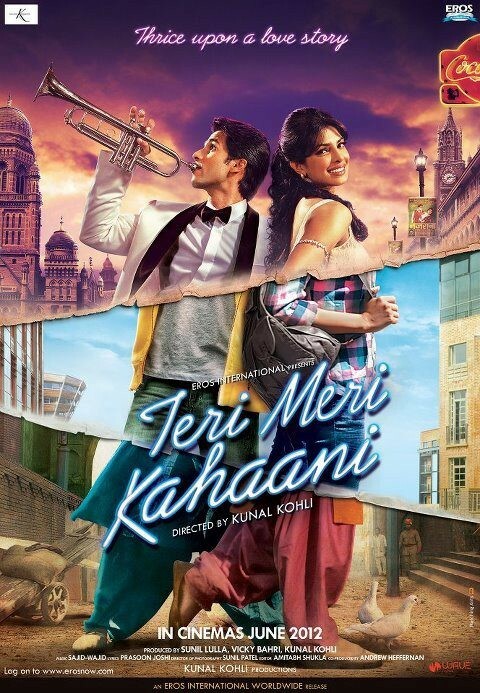 Rahul Kher who is in love with Tia, a bubbly girl who happens to be the daughter of retired I.G. of police Pratap Singh who post retirement has suddenly decided to become Hindustani in every sense of the word. He has suddenly shifted from his starched uniform to traditional kurta pyjamas, does not like the use of English words in conversation. So D.J Rahul does not fit into this profile, the film is fun filled as Rahul’s effort to woo Tia’s father to approve their relationship & how he becomes the Real Hindustani in her dad’s eyes. All ends well and Pratap Singh ultimately agrees Hindustaniyat is not about clothes and language after all. The heart has to be Hindustani. Meanwhile Carlos, the international terrorist is being briefed by Music Ali, a freaky terrorist leader immersed in old Hindi film songs. The plan is to blast a peace conference happening in Mumbai ten days from now. He sets out on his mission giving rise to another hilarious track. In a freaky incident Carlos en route his mission gets his head severed and the severed head somehow manages to end up in Rahul’s custody. Getting rid of the head becomes the main concern out of which many hilarious situations occur as Rahul and Tia are yet unaware of the fact that the head is of the international terrorist Carlos on which such a huge reward lies. But fortune provides an opportunity to Rahul to prove his patriotic zeal to his prospective father-in-law when a news telecast announces that the severed head that has been missing belongs to none other than Carlos Randall. Situations lead to an interesting climax and Rahul becomes responsible for causing the arrest of the dreaded terrorist Music Ali Pratap Singh can get no bigger a hero than Rahul for his son-in-law and all ends on a happy note.